Spring is the season of blooming flowers, vibrant colors, pleasant weather and harvest, which means a great many festivals that are a cultural tradition to pay thanks to the bounties of nature. Spring is a great time to travel as it allows you to beat the awful heat of the sun, the chilliness of the snow, and the depression-inducing orangeness of the fall. We’ve put together an exciting round-up of the best springtime travel destinations that allow you to feast your eyes on magnificent architecture, exciting cultural events, and gastronomic food adventures. Tucked away in the foothills of the glorious Vosges Mountains, Alsace is home to some of the finest vineyards and strongest wine blends in the world. You can enjoy amazing tours to world famous wineries, such as the Maison Trimbach , and Domain Weinbach , and rejoice the strong aroma and headiness of top grade specialties, especially the Rieslings and Gewürztraminers . You can enjoy private cruises, boat tours and roam around the enthralling streets of Alsace. There is an abundance of nature trails to explore the serenity of the mountains, while local cuisine is a charming experience that will leave you enriched. We strongly recommend you to visit the two Michelin-starred restaurant at the Villa René Lalique . Jordan is an enthralling travel destination that allows you to explore a stunning and adventurous desert landscape, some of the most splendid world heritage attractions, oriental cosmopolitan cafes and a modern Arab capital. This Middle Eastern country is filled with astonishment and wonders, and April is the best time to catch a weather that is warm yet pleasant. The valleys will be covered with vibrantly colorful wildflowers and the lush greenery will beckon you to explore the wilderness. The exotic country is bound to get under your skin, introducing you to a great many mystical wonders and historic trips to the citadel, the Roman theatre, and the Jordan Museum amongst many others. Wadi Rum is an astounding destination that will guide you deep into the wilderness of the desert, while Petra will blow your mind with its powerful ancient structures of the Nabataeans. If you want to relax and unwind, the salt saturated shores of the Dead Sea will also work up their magic on your skin qualms. 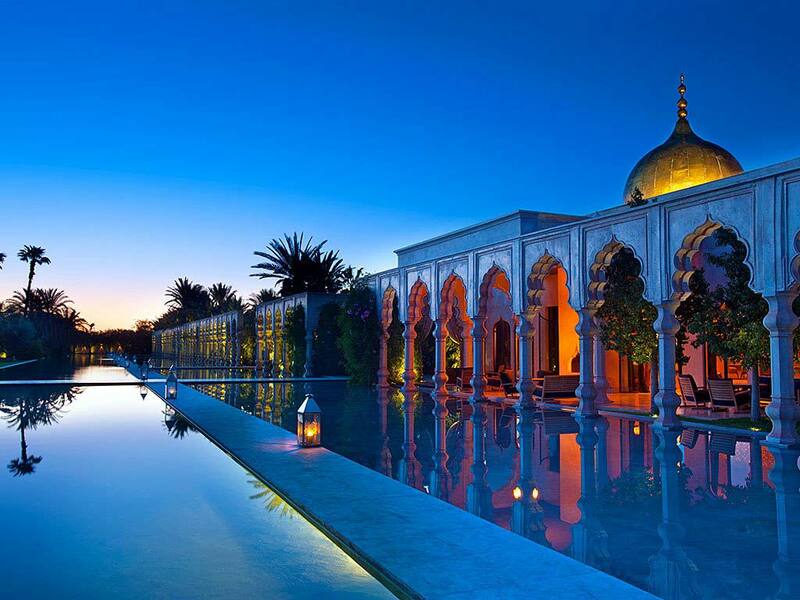 The spring months of April and May are the perfect time of the year to plan a trip to Marrakesh so you can escape the heat and enjoy pleasant weather during the day and the night. You can head out to the desert for a safari adventure or spend a night like the gypsies, and of course, walk through the enthralling markets of the city. The chaotic streets of Tokyo, the flashy neon lights, the serenity of Mt. Fuji and the historic prelude of the temples of Kyoto-Japan offers an exciting blend of traditional, cultural and metropolitan adventures and spring is the perfect time to escape the awful summer crowd. You can head over to Hiroshima and pay homage to the sad historic legacy of the city, followed by a stroll down the stunning Peace Park. The high-speed bullet trains are an experience worth enjoying, and if you adore feasting on sushi and sake, you’ll be right at heaven. If you’re an adventure enthusiast, you simply cannot avoid the nature trails of the breathtaking Mt. Fuji. We strongly urge you to plan your trip during the month of April, so you can catch the excitement of the Hanami Cherry Blossom Festival, when millions of trees brim up with lovely white and pink flowers. It is the perfect occasion to go outdoors and fill up your lungs with the blossomy spring air. Armenia is opening up to receive travelers, and it is the perfect destination for a springtime vacation. Since it is not a mainstream tourist destination, you can enjoy the serenity of its landscape and historic dimensions of its culture without feeling too crowded. Armenia is famous for its stunning countryside beauty and scenic landscapes, and if you’re a hiking enthusiast, there is an abundance of nature trails to explore. We strongly urge you to take the Transcaucasian Trail, which will take you through the spellbinding tour of the bucolic Dilijan National Park, the lovely town of Dilijan, and astounding Christian monasteries that date back to the 10 th century. The ancient Armenia cuisine is another incredible experience that will leave you craving for more! March is a lovely time of the year to visit Oman as the kingdom comes to life with blooming flowers and lush greenery, and seeing the Damask roses sprawled through the stunning expanse of the Jebel Akhdar, which loosely translates into the Green Mountain. Jebel Akhdar will introduce you to the most stunning nature trails, and in spring, it is truly a hiker’s paradise. The Sultanate of Oman is home to over 90 pink shrub farms that are highly coveted by perfumeries and scent manufacturers across the globe. You must plan a tour to feast your eyes on these heady shrubs, and learn peculiar tidbits, such as the fact that these are hand-harvested at dawn. The Alila Jabal Akhdar is a wonderful destination to stay as provides some of the most spectacular viewings of the gorges and mountains. This beautiful and small island is best visited during the cool and pleasant months of spring because it allows you to enjoy the stunning beaches without throngs of tourists. Malta is perfect for an adventure that is outdoorsy, beachy and historic. 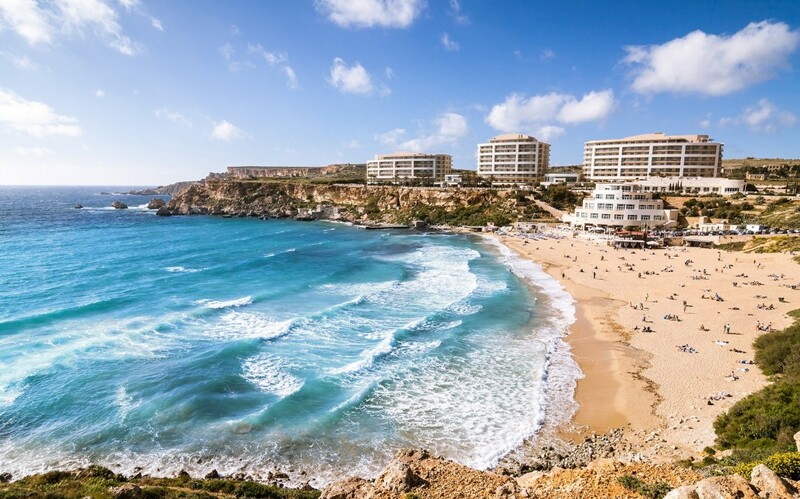 You can walk through the beautiful streets of its medieval towns, visit the ancient temples and marvel their remarkable role in preserving history, or laze around the picturesque beaches that Malta has to offer. The vineyards are a must-have experience that will introduce you some of the richest varieties of local wines. The Crete Island is one of the most magnificent and unique of all the Greek islands, along with being the largest and most fascinating. Crete has its own distinctive and powerful culture, and it allows you to have an abundance of outdoor fun, along with immersive cultural and historic adventures. You simply must visit the beautiful traditional village of Spili, situated on the stunning expanse of southern Rethymno. And trekking down the Samaria Gorge in the southwest of Crete is another adventure that will be insanely rewarding for nature lovers. Late spring is the best time to make the most of Crete without the overpowering crowds. April is the best time to travel to the stunning and exotic land of Portugal and have an active vacation filled with gastronomic local cuisines, swimming on the scenic beaches and sunbathing all day long. Spring in Portugal is an opportunity to feast your eyes with the blooming beauty of almond blossoms and filling your lungs with fresh spring air while avoiding the crowds of summer. The temperature of Lisbon is perfectly pleasant to allow you to walk through the fascinating streets and feast your eyes on the city’s historic architecture. 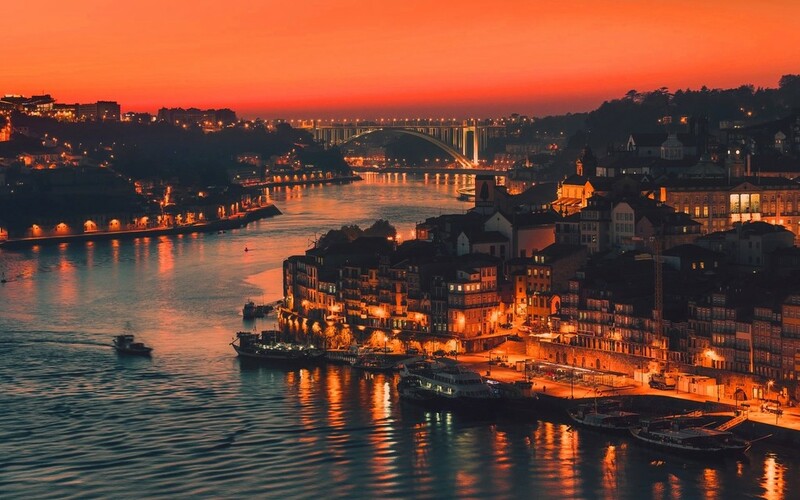 Portugal is famous for its delicious food, and you simply must visit Porto, a coastal city that hosts the famous Dom Luís I bridge along with the best dishes that the country has to offer. Then, you must go south to visit Lagos, a stunning walled town that will beguile you with its headland views, rowdy cliffs and old town vibes.